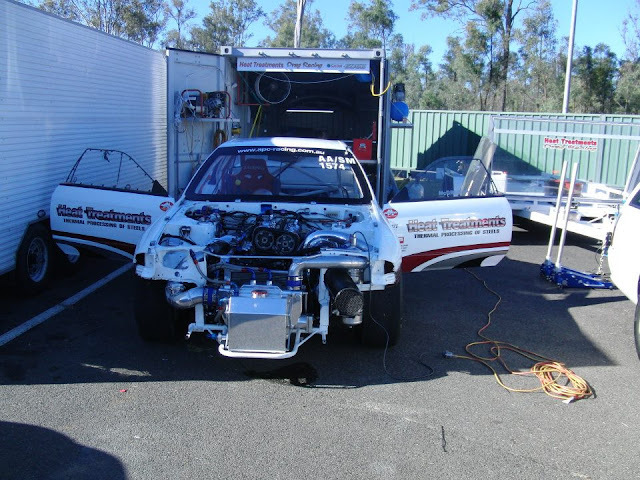 The worlds fastest Nissan Skyline GT-R has just gone quicker in testing today at Willowbank Raceway in Australia. 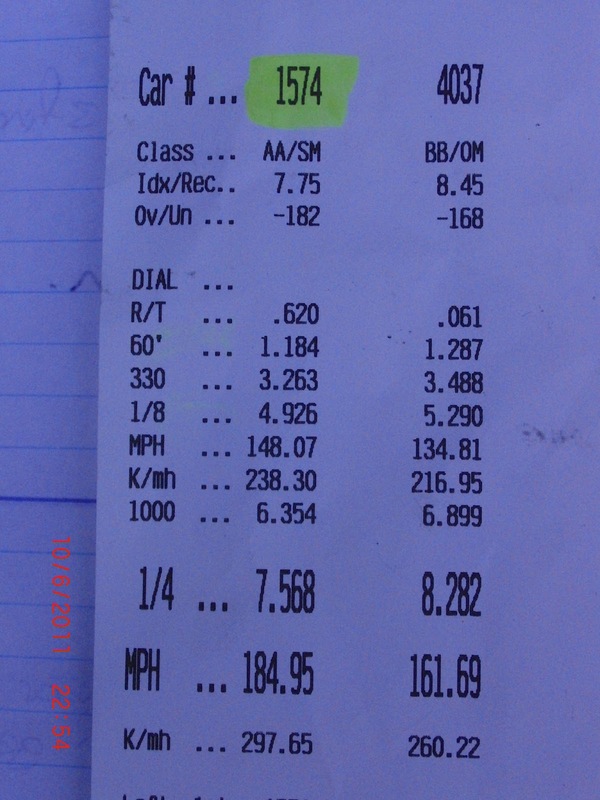 The Heat Treatments R32 has been solidly in the 7 second range with a previous best of 7.56 @184.95 mph. 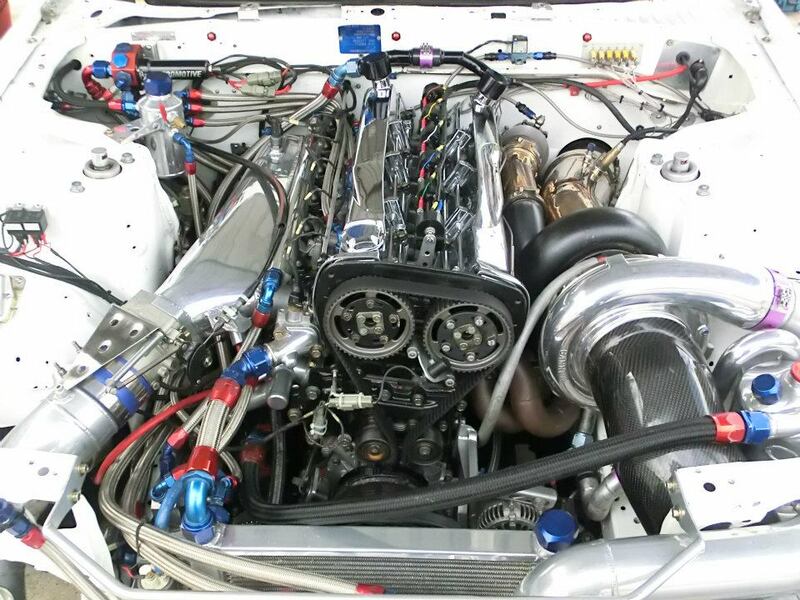 They have just recently installed a newer more powerful engine, and managed a 7.53@185 mph at "low" boost. When you are on alcohol, and used to big boost, low would be all relative. They have gone as fast as 191 mph with older setups. Hay there guys, what a cool day! sunny weather and kool cars everywhere. 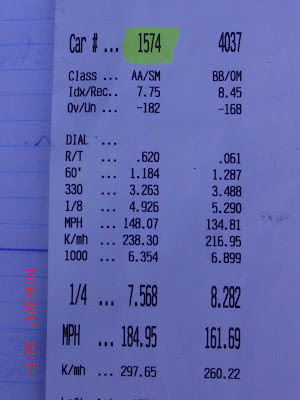 Off the trailer the GTR ran a 7.56 @ 185mph, next run was 7.60 @ 185mph and then a 7.53 @ 185mph which dropped the record by a bit. Crazy thing is the boost was low and it still banged out this time! 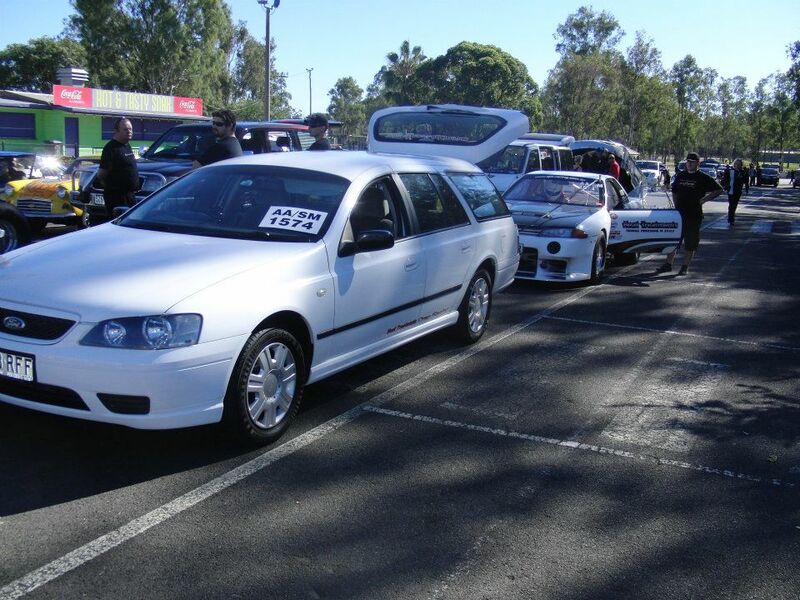 Next meeting will be the Winter Nats warm-up meeting! Check out the Heat Treatments Facebook page for more information and pictures.